Nice article. Very well researched. just one correction, 07:45 IST Arrival. I am sure its DGCA & Other Aviation Department that caused in delay of this airline to start operation , if at all its just as per rules then its never a problem unfortunately we know the facts of government . & Talking about Newbie (Air Costa Managment ) , it will have to get on with DGCA and other Departments for which it will definately take some time . At the end of the day it did its first flight . (So cheers for it ) and please dont give a quick judgement about this Airline because it does effect its image . As mentioned in the article, “operationally acceptable but image-damaging”. We do understand what causes an airline to not take-off, or have a delayed start. But neither of us can do anything about the image. The ones flying are the public, not us, to whom the image is everything. 1. Air Costa had plans to operate in bangalore but was changed to HYD long time ago due to political reasons. 2. Air Costa ‘s first flight on 14th was not for the general public but on Invitation basis only. So it was based on a charter basis with no operational timings so where does the delay come from ? 3. Air craft has 60 + 7 seats instead of the 66 seats you are mentioning. 4. 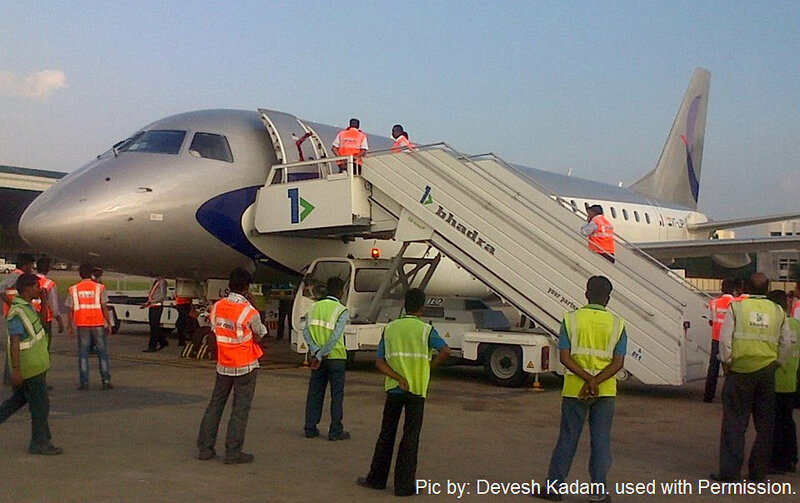 VGA-BLR block time is 1 hour but the flight time is no more than 45 minutes. 5. You will be surprised by the load factor on the “Economy Plus” class. People in short sectors fly Premium Class for privacy more than comfort. 6. Air Costa’s scheduled LB 601 has already operated into bangalore as I reply to you with a delay 9 minutes and a turn around in bangalore of 28 minutes which has even surprised the management of the efficiency especially at start up phase of the airline. I really suggest you get your facts right before your blurt out such harsh criticism on an start up airline that has commenced operations after braving so many storms. then I ll let it to your imagination the hassles when starting an airline. Its insane. ps. Air Costa’s economy and economy plus seats are the most comfortable ones being offered in India at the moment. 1. Thank you for that info, I wasn’t aware of them wanting to start from Bangalore. 2. I am well aware that the 14th Oct flight was intended to be for PR purposes, not for revenue generation. 3. I have been a little concerned with that. DGCA mentions 67 seats, but the only config that makes sense, is 6+60. I am eager to fly on board the Air Costa EMB170 to see were that extra 1 seat is. But that still doesn’t affect my calculations, much. 4. I am aware of the block time. The fuel mentioned is very obviously for the sector distance, not for the time, although mention has been made to the block time. We wouldn’t pride ourselves in aviation if we did it that way, would we? 5.I wouldn’t be surprised. I just am certain that 100% is difficult. I mention very clearly that you may rake up some good LFs. 6. Very good to hear! BTW, another post of mine covered that. Today. Almost as soon as the wheels were down. There is no harsh criticism. As you can very well read, I do mention “While start-up hiccups are understandable, calling for a press-meet and then changing plans without notification is operationally acceptable but image-damaging.”. The way I see it, most of my facts are right. When you see the ways in which IndiGo and Air Asia started (start) and operate, you’ll see the difference. I am well aware of how difficult it is in this country to do anything in aviation. But the false-start promises were based on poor homework, leading to speculations that better-prepared airlines refrain from making public. If you see, I do mention the seats being really comfortable in earlier posts. Please read them. An airline makes/breaks its own image. Noone else. While I can understand the hiccups of a start-up airline, I find it difficult to understand why the Corporate Communications department is not professional or savvy. I am a journalist and called up the Corp. Com head so many times, no response. Only once he picked the phone and said would get back. I sent mails, questions for the interview, sms stating that I had mailed the questions….. but no reply. In the article you have mentioned Air Asia, I sent a mail to Mr. Tony Fernandes and I got a prompt reply. What is the current status of the airlines? All the Best to Aircoasta… please get your flight details in all travel websites to make it convenient….